This offer is no longer available. If you are looking for a similar property please fill in the inquiry form which you find when you scroll down the page. Two rooms, kitchen, bathroom, balcony in 60s building. Rented. Reliable tenant. Super location. 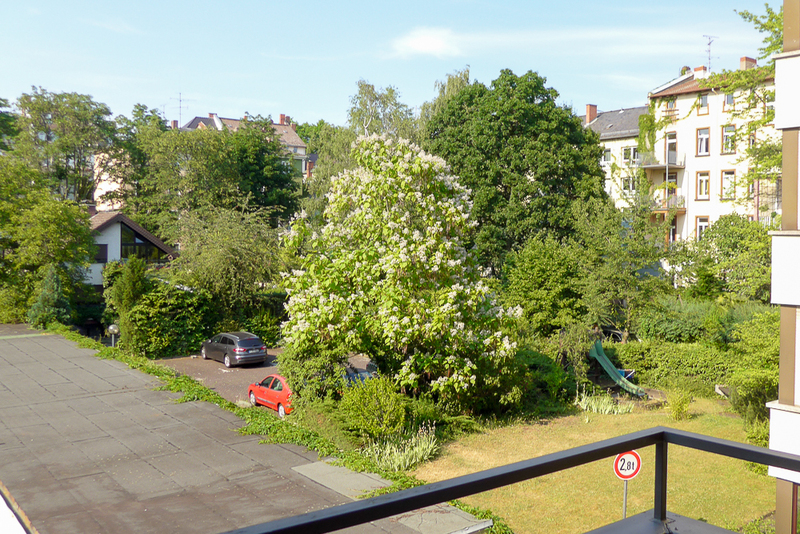 Two-room apartment with south-facing balcony in the best Nordendlage in Mittelweg. 2nd floor, elevator. The apartment has a large living room, kitchen, inside bathroom, hallway, south balcony. The building has a swimming pool, which is currently not in use. Renovation is planned, but not yet decided. The building has a total of 26 units. The building is from 1965 and has a flat roof. This was completely renovated a few years ago. Due to the pool this apartment has no cellar room. New modern central heating system was installed in summer 2018. Balconies (also from this apartment) are currently being renovated (autumn 2018). Best location in the central Nordend. To subway station Grüneburgweg is about five minutes. Bus goes in the Oederweg (around the corner) in the city center (Hauptwache) is about ten minutes. Supplement to noise level: The middle ground itself is not a loud backdrop. The restaurant is animated in the sunny season by the outdoor terrace. Other info concerning Energy Performance Certificate: The energy certificate does not take into account the condensing boiler system renewed in 2018, which is operated with natural gas. Before there were two oil heating systems from sixties in the building. Source or reference to the floor space information: In the division declaration, the plans and the floor area calculations are available. This is from 2007. Note: For details, see statements that are made available during the visit. (More) informations on maintenance reserve fund: The current status has been requested and is not available yet. The renovation of the heating system and the refurbishment of the balcony probably reduced the level of the reserve. General information on the renting situation: The lease is dated 1.4.2003. The division of the object took place in 2007. 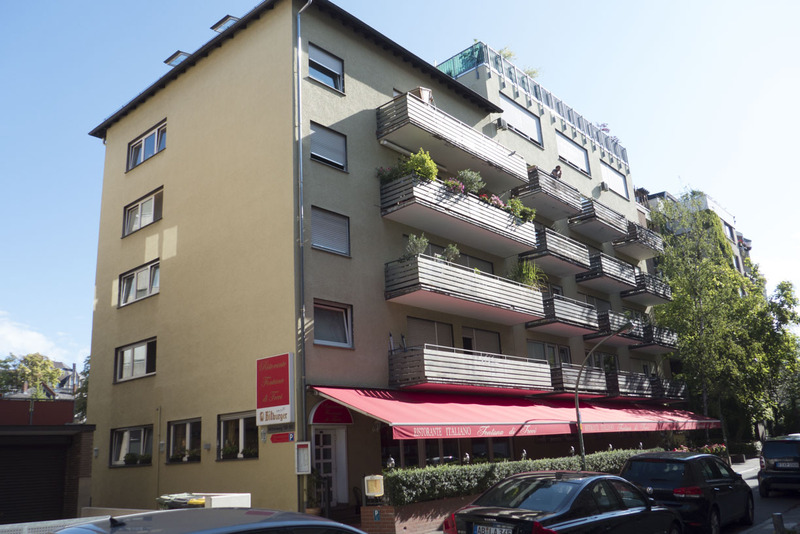 The rent was raised due to modernization of the heating to 1.2.2019 to 581 €. Renovations to be done in the building: Elevator (may need to be renewed); Swimming pool (here the ventilation system and with it the electrical system must be renewed); a row of balconies with the wide balconies still needs to be renovated. For the rest, see owner meeting minutes and decision-making, which can be made available if you are interested in buying. Other information or specialties: The owner community keeps together very well. The new property management is top. What is the outstanding feature of this property: This location is just awesome! An object under 6.000 € per m² a rarity.